The Elite Travel Gal: Where are YOU traveling this summer? Haven't planned your spring or summer travels yet? No worries. You're not alone, judging by the slew of emails I've received recently asking for ideas and help narrowing down the options. Rather than get overwhelmed trying to figure it all out on your own, you can rely on the team at Elite Travel International to cull through the clutter and help you decide where to spend your time & money this summer. Here are just a few of our top picks. We'll continue to update you here as well as on our Facebook page so be sure to check back frequently for exclusive luxury summer travel offers. 1) Summer in San Diego: Through June 28, the luxurious (and pet-friendly!) Grand Del Mar Hotel (below) is offering a free third night. Home to Addison, SoCal's only Five-Star/Five Diamond restaurant, Grand Del Mar also features one of the top 20 spas according to Forbes. It's a perfect family retreat with a dedicated Explorer's Club as well an Equestrian Center, tennis, golf, waterfall hiking and biking nearby. Our special Virtuoso rates start at $395 and include breakfast plus $50 hotel credit. 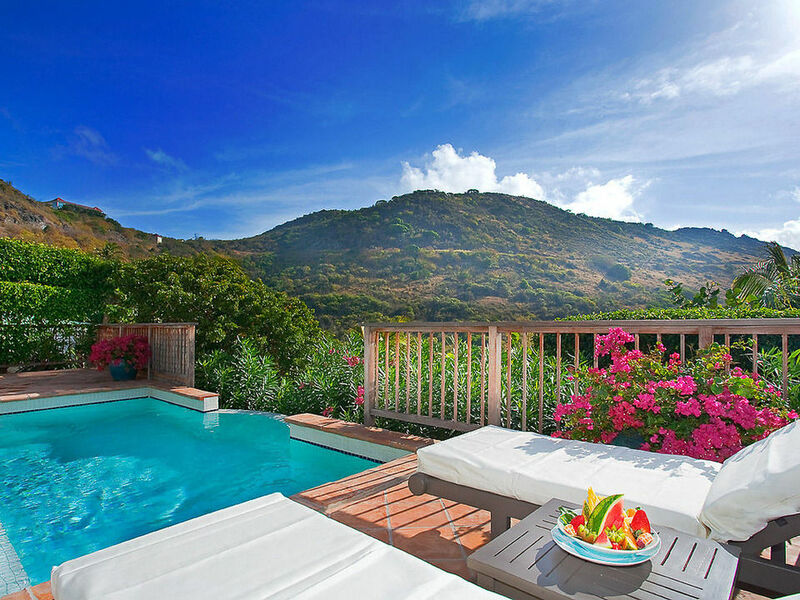 2) St Barts Summer Bliss: From June through August, enjoy a complimentary 6th night when booking a five-night stay at uber-romantic Hotel Le Toiny (shown above). The Summer Bliss package starts from 3075Euros for six nights in a junior suite, and includes daily breakfast, airport transfers, welcome cocktails, free WiFi, use of a convertible Smart Car and a beach picnic basket. 3) Tuscan Charm: Thinking about an Italian holiday? Book a stay at the brand new Castello di Casole (opening July 1) before June 30th and enjoy four nights for the price of three from July 1 through December. A 41-room/suite boutique luxury hotel located on a private Tuscan estate/vineyard just 20 minutes from Siena and 45 minutes from Florence, Castello di Casole features a wine cellar-turned-spa, an authentic pizzeria, gorgeous suites & villas plus a slew of activities ranging from cooking lessons to winery tours to Italian language lessons. Our Virtuoso rates include enjoy daily breakfast and guest's choice of a cooking, language or pottery class. 4) Peruvian Adventure: Craving a unique adventure? Consider exploring the Peruvian Amazon aboard Aqua Expeditions'all-inclusive boutique luxury ships and you'll enjoy daily excursions into the Amazon jungle that may include pink dolphin sightings, interaction with the local people and plenty of wildlife viewing (think jaguars, macaws and more). Sailings are three, five or seven days. Fares include all meals, excursions, wine with meals and transferss to/from Iquitos to the vessel. Children over seven are welcome; discounted kids' rates are offered. This experience pairs perfectly with a stay in Lima, a visit to Machu Picchu and my personal Peruvian favorite, Colca Canyon. 5) Big Apple Adventures: Throughout the summer, enjoy a 3rd night free at The Ritz-Carlton, New York, Central Park where our Virtuoso/STARs rates include breakfast, a $100 food/beverage voucher plus customized VIP amenities and priority upgrades. During July and August, our friends at The Chatwal, a Starwood Luxury Collection property, offer a complimentary 4th night including breakfast for two at The Lambs Club. Wow I have find a lot things from one place, where I can explore a lot of topics. Made this last night for dinner and my husband and kids loved it! It's going to be a new favorite around here. Europe and especially Switzerland are great destinations. Beautiful landscapes with mountains and seas with cristal clear water etc., a great place to just relax or discover the country. If you travel to Switzerland or another European country you need to try the delicious local food. You find a complete directory of restaurants in most European countries at MyTable.com and the MyTable smartphone app. There, you can search by name, location, kitchen style, price range, etc. Or you just search for a place nearby (the app detects your actual location and makes proposals). You can make your reservation directly online and you‘ll get the confirmation by email or sms. Also, you can see the restaurant’s menu, as well as ratings and recommendations of restaurants written by other users, so you will be safe form tourist traps. MyTable.com services are available in English, German, French, Italian and Spanish. Hiya Stacy! Kind of summer, Kind of fall... But as you know we are traveling to Bora Bora for our Honeymoon! We will be staying at the Four Seasons. I just wanted to come on your blog and thank you for all the help you have given us along the way. We are so happy and excited for every aspect of the trip! So, far with booking, pricing and pre-travel recomendations alone... you are truely an "Elite Traval Gal". Thank you so much. This is only the beginning of a long releationship! Lovely places to spend the summer! I love Grand Del Mar hotel. Great service and very nice ambiance! Will sure be back next summer! I can only wish we could visit one of those places soon. For now, it's time to scout for a hotel in new orleans to spend New Year's in. Very good question. We were considering going on some family holy land tours. If anything, it would be a nice change from the usual cruise or trip to the beach. We're keeping things a little more simple, but just as fun. To be precise, we're choosing between the hotels in paddington for a place to stay during our family trip to London. Great list! I'm gonna share mine, my family and I spent our summer at the crescent city. We stayed at the best hotel in new orleans and its one of the most unforgettable experience in my life. I've read good reviews about the boracay island in the Philippines. It's perfect for a summer getaway and I'm excited on experiencing the world renowned hospitality of the Filipinos. My family is planning to avail a boracay package this coming summer and I'll gladly post my feedback here once were through. Well, we are planning on going to London this summer. We've already booked a hotel near buckingham palace and we're really looking forward to it. But I'll definitely keep these suggestions in mind. I might visit Dumaguete City in the Philippines for the summer. What's more awesome in the place is you can enjoy island-hopping, giving you more beaches to visit! And the sea is so blue, you wouldn't want to miss a dip! I’ve already cleared my mind about it, and I’m sure that I want to spend my summer vacation at Grand Del Mar Hotel in San Diego! Thanks to my college admissions counsellors who helped me in picking a good place to unwind! Hi Macy, we went to London last summer but instead of booking in a hotel, we stayed in one of those central london apartments for rent. It's more affordable and also has a nice accommodation. Maybe you consider doing it too. If you've been wanting a place to stay in, just temporarily, I know there are several residential properties to rent somewhere around the place. I heard this to a friend who did this one, I mean, it's like they rented a whole house for a day or two like the villa you got here though, there's are smaller. Favorite season: summer! This is when my feet feel itchy, as if they want to travel the world in a day. I always opt for nature and wild wonder adventures when I travel. More exercise plus I get to see the works of God. Not only that, I invite a lot of friends with me to rock the adventure! Wow! That is definitely a place to go for the upcoming summer. I've been living in a flat for rent in london for a while now and, I think it is time for me to have a good vacation. If I have the money then, traveling to this place this coming summer is not a big deal for me. I only wish that I should have all that money. I'll just probably have a staycation at home watching all my favorite series while transporting myself in a land never-before. For me, summer is all about relaxation. The setting don't matter as long as I have my family with me. Wherever our destination is as long as were complete, it will always be a blast. During summer I always prefer doing some sporty-like activities like joining to some triathlon, or doing some golf or even mountain hiking. But of course, when I'm with my family we would want to spend the summer in beaches and appealing resorts, to ease up the heat. A must visit resort! 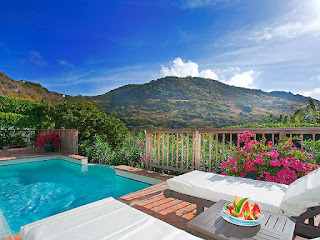 The infinity pool looks marvelous and the view and landscape were just stunning, I'll try saving up for this destination for this coming summer, I wish I could save enough for the trip. Now there are a few ideas! I wonder which of these have a large infinity pool to dip in? Haven't taken a swim in an infinity pool in a while, so maybe this summer I'll do it at one of these resorts. Great tips on taking language classes while abroad. That's really amazing that the package included them in your stay in Tuscany. Very nice post of this blog. thank you for the reminder. During my college years, I traveled to Europe every summer. I started my plan in the spring: First, I will determine how much time I would be allowed to travel, and then buy a cheap airfare to Europe. Then I'll find out where I really want to go.! A todos que partilham e trabalham sob estas mesmas convicções e princípios Juegos Friv Jogos Friv Senhor Deputado Cashman, agradeço-lhe a informação. Jeux De Friv Juegos De Roblox Juegos Zoxy Mais uma vez, obrigada ao Parlamento por comungar da visão que informa a nova política dos consumidores Juegos Kizi Juegos Yepi Twizl Zoxy assente no mercado - a visão de um mercado de consumidores informados e capacitados que procuram e usufruem, com confianca. Prince William County News Such a very useful and informative article.I would like to thank you for the efforts you had made for writing this awesome article.